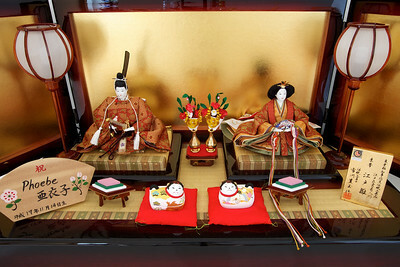 March 3rd is celebrated as the Girl’s Day,or the Doll Festival. It’s the day to pray for healthy growth and happiness for young girls. Hina dolls are displayed for two to three weeks before the festival, and put away after March 3rd. The reason is that long ago people believed,”If you don’t do it,you won’t be able to get married”.